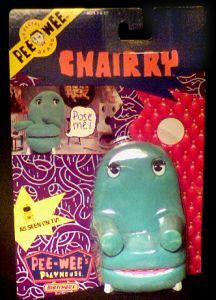 Four and a half inch tall action figure of Chairry from Pee Wee's Playhouse. Very cool! Website design and hosting by Sohodojo Business Services. Item 277 of 466 items displayed in viewer. 0 items in cart.